Ridgefield, CT – RVNA, the Ridgefield Visiting Nurse Association, is delighted to announce that Keri Linardi, RN, BSN, PHN, CHPCA has assumed the position of Chief Clinical Officer (CCO). In this role, Linardi will have oversight of all RVNA clinical service lines — In-Home Health Care, Rehabilitation, Hospice, and Community Health and Wellness — as well as the Quality Assurance and Performance Improvement team. Linardi is a seasoned clinical executive and practitioner with experience managing multi-functional teams at large home health and hospice organizations. 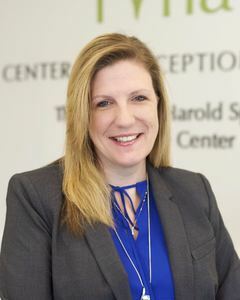 Linardi received a Bachelor of Science degree in Nursing from Mount Saint Mary’s University in Los Angeles and has worked in health care for over two decades, most recently as Vice President of Hospice at VNA Health Group in New Jersey where she specialized in palliative and end-of-life care. Prior to joining RVNA as CCO, Linardi, a certified hospice and palliative care administrator supported RVNA’s Hospice accreditation process as an expert consultant. Following graduation from nursing school, Linardi began work as a Home Health case manager in Compton and Watts in Los Angeles County. Since then -- with the exception of four years working in women’s health in the hospital setting -- Linardi has spent her entire career in community nursing. She has worked as a homecare and hospice liaison; an on-call night nurse for hospice in the community; and an inpatient hospice nurse and community hospice case manager in California, New York, and New Jersey. Originally from Massachusetts, Linardi lived in California for over 20 years and now resides in Stony Point, New York. She has three children, ages 22,18, and13. Linardi serves as a leadership mentor to inner-city youth through Mentored and, when time permits, enjoys the occasional beach vacation. Founded in 1914, RVNA is an accredited non-profit Medicare-certified home healthcare agency that also supports public health and safety, and promotes the highest quality of life. RVNA provides compassionate care to all individuals, whether young or old, through a continuum of care that encompasses health care at home and in the community. RVNA also provides home health aides and companionship through a non-medical subsidiary called HomeCare by RVNA, end-of life care through Hospice by RVNA, and outpatient physical, occupational and speech therapy in its Rehab by RVNA facility at 27 Governor Street, Ridgefield. To Contact RVNA Call RVNA at 203-438-5555. Visit RVNA at www.ridgefieldvna.org.